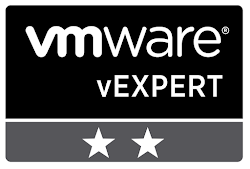 In the past 3 months I have been involved in projects using vCloud Director. The necessity to have a test environment appeared naturally. So I started working in my home lab on deploying vCloud Director. I had the help of some other blogs (about which you will hear in the post below) but I have also done it different by using CentOS 6.3 and MS SQL 2012 Express (both not supported by VMware). Before starting anything make a little IP planning and check that you have a local DNS server and make sure that all infrastructure can be resolved properly (hosts, vcenter server, databases, vcloud cells and so on). I am using an AD (since I`ll be testing LDAP integration ) integrated with MS DNS server. Other prerequisites: do not forget to deploy the vShield Manager appliance - each vCenter Server needs to have a vShield Manager. We will talk a bit later about basic configuration of vShield Manager. First create the VM: 1 vCPU, 3 GB RAM (2GB recommended by MS), 25GB HDD thin provisioned (thin provisioning on SSD works great). Install Windows Server 2008 and VMware Tools. Configure the server (IP, hostname), if AD exists, join the server to the domain. Next, download MS SQL 2012 Express from Microsoft site, the version that includes management studio (SQLEXPRWT_x64_ENU). Installing the DB is pretty straight forward - make sure to choose mixed mode authentication and configure sa user password. If you miss this step, it can be done after the install ( SQL Server Management Studio - Server properties - Security). During the configuration choose an instance name (VCDDB for example). Now it is time to create the DB: Database - New - vcddb01 (you can give it any name). Change the owner to user vcddbadmin. Sizing the DB: VMware documentation offers the following parameters: data file (mdf) size = 100MB, filegrowth= 10% and for log file (ldf) size = 1MB, filegrowth= 10%. In lab environment these should suffice. The actual limits are determined by both SSD space and VM size in my lab environment. Form the original script I have removed the first line ALTER DATABASE [vcddb01] SET RECOVERY SIMPLE since the DB has default recovery model set as simple. Check that the extended properties were added: database Properties - Extended Properties. To finish the installation, a couple of more things have to be done. First, configure MSSQL server to listen on TCP/IP. Using Sql Server Configuration Manager go to SQL Network Configuration and enable TCP/IP. In Properties tab chose the IP address and set the following parameters:Active YES, Enabled YES, TCP Port 1433, TCP Dynamic Port 0. Then, restart the service and check that the server is listening on port 1433 (netstat -van). Finally, configure Windows Firewall to allow incoming connections on TCP 143 and test that communication with the server on TCP 1433 is ok from another VM using the command telnet ip_addr_db 1433. I do not get my ip address listening on 1433 using your steps. Is there a service that I need to turn on? net tcp listener is disabled on my server. Other possibility is to check if yu set up the 1433 on SQL configuration manager to evict the dynamic port.